After the success of our Patient Day last year in London, we are organising another one! All welcome, register now. 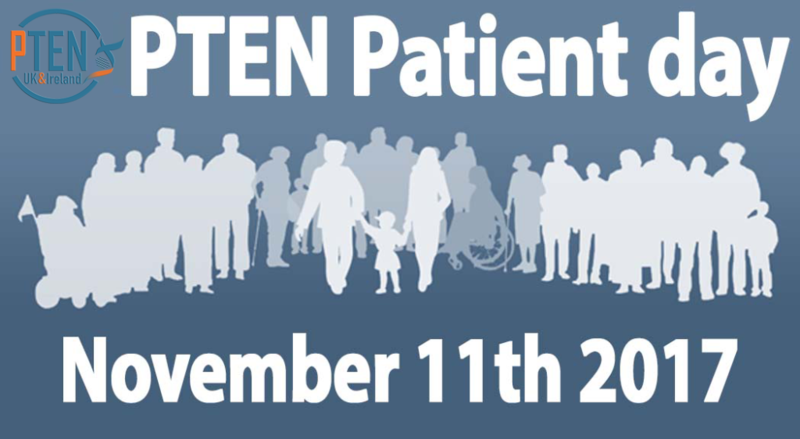 The event will be an informal day aimed towards meeting and talking with other people affected by PTEN genetic alterations, PTEN Hamartoma Tumour Syndrome (PHTS), Cowden’s Syndrome (CS) or Bannayan-Riley-Ruvalcaba Syndrome (BRRS). The day is open to adults, kids, patients, parents, carers and professionals alike for anyone within the UK and Ireland. This entry was posted in Events, Patient day and tagged patient day.